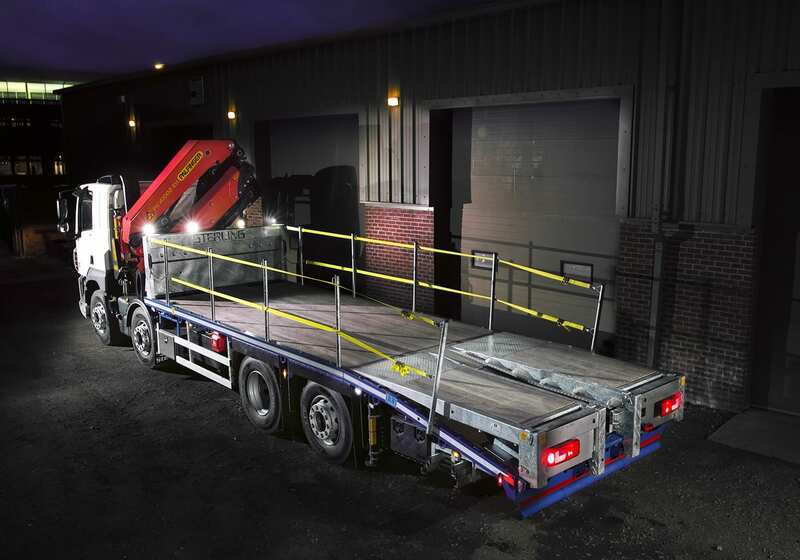 The Cheesewedge ‘fold forward’ ramp system is available on 18T-32T chassis. 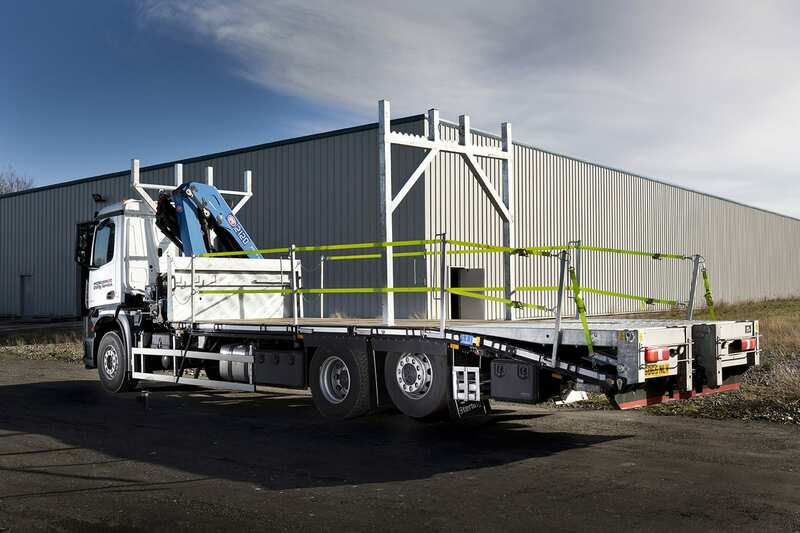 The Cheesewedge is able to fold forward to provide a totally flat deck, ideal for crane trucks, although the ramp can be stowed in the vertical position if required to give more deck space. 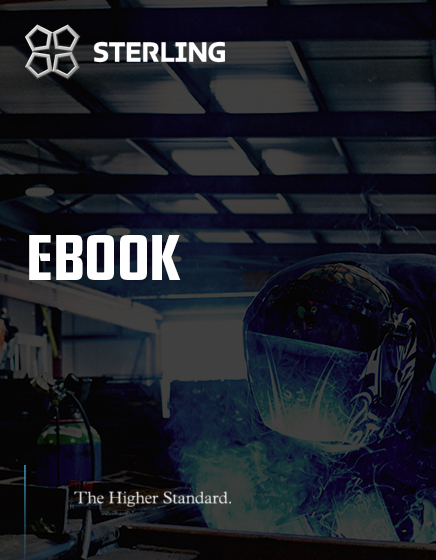 However this ramp is also suitable for non-crane trucks, as the combination of double-break beavertails and long toe sections give an excellent low loading angle suitable for most plant and access machines. Our step frame low loader is also great for low clearance machinery. The toe section is also reinforced internally, allowing for the capability to manage up to 20 tonnes. This option also adds up to 15% fuel efficiency for the vehicle. As standard cheesewedge ramps come as two 1.0M wide ramps, leaving a 500mm gap between each ramp. 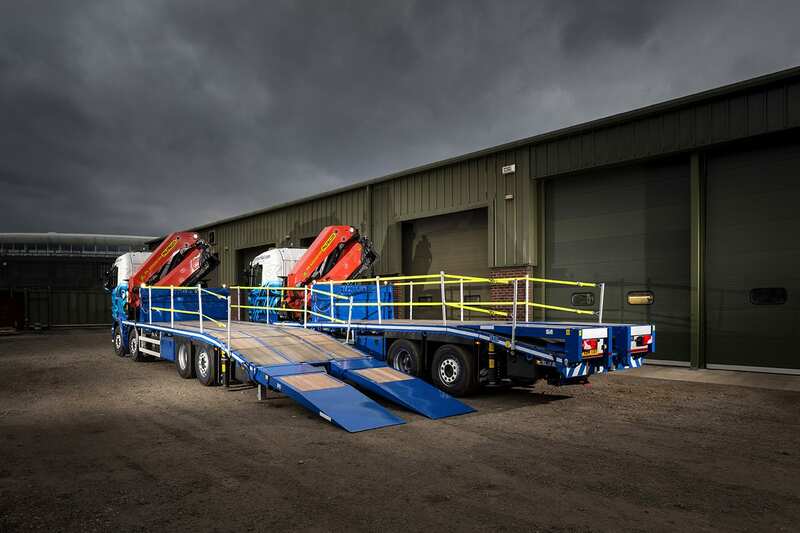 Another option is to opt for a ‘full width’ ramp, which is a safer solution when carrying narrower machines such as rollers, but also gives a totally flat deck when folded right to the rear of the Truck. This is especially suitable for Crane Trucks, allowing the Body to be used as a ‘flat bed’, ideal for carrying accommodation. To get the best of both worlds the cheesewedge ramp system is also available as a full-width ramp fitted with a 500mm gate in the centre, giving the luxury of both options. In this case the ramps would still give a totally flat deck when folded, but also allows a Excavator Bucket for example to protrude behind the ramps when vertical to maximize deck space. 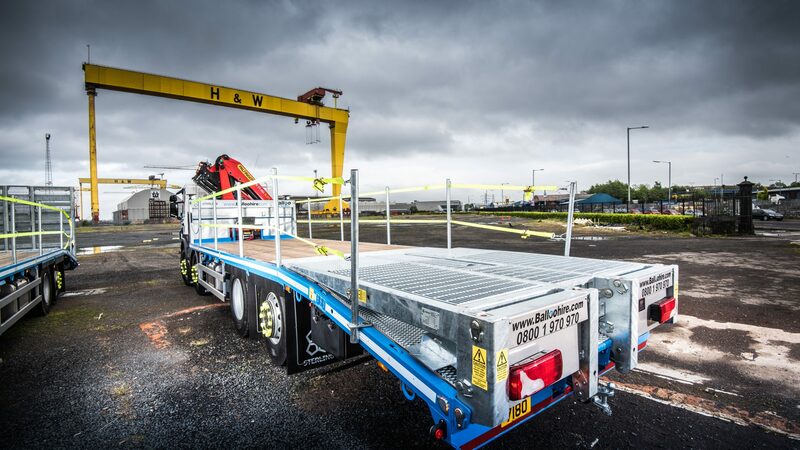 Sterling GP have been manufacturing plant body transporters for over 20 years have an impressive track record in the manufacture of a variety of ramp styles. Our cheese wedge beavertail is available in 18-32 tonne options and are fantastic for transporting almost any kind of plant machinery. 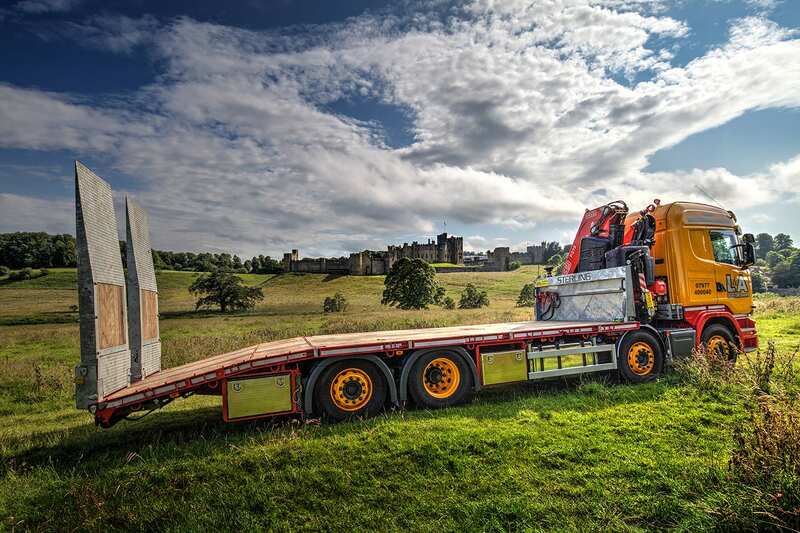 You may also be interested in our Hiab Truck solutions which make loading and unloading of heavy objects easy. 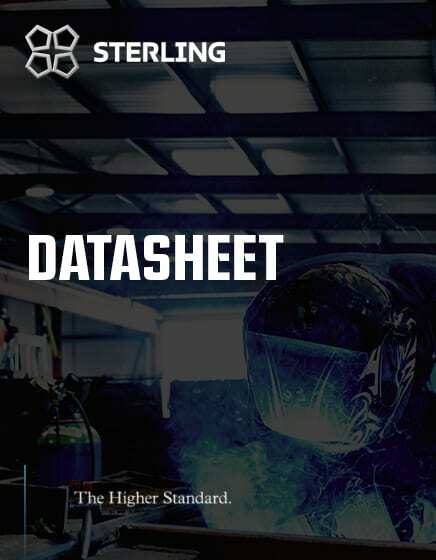 Download this datasheet to give you all the information you need to know about the Cheesewedge ramp style.